Welcome to Why I Love to Teach, our feature on Roane State faculty and why they love to do what they do. Today, meet Stacy Jacobs, a talented artist in her own right, who teaches students new ways of seeing the world around them. There are “miraculous things and beauty in the world,” Roane State Art Professor Stacy Jacobs says. It’s part of her job to encourage students to see, enjoy and appreciate images and artwork created through the ages, she said. Jacobs has been chair of the college’s art department for 13 years. She teaches art appreciation classes and a unique course in black-and-white photography as well as other studio art classes. She also takes part in international trips in the spring to European countries so students can view first-hand some of the most famous artistic creations of all time. “When you look at art, you are part of the journey of someone who created something hundreds or thousands of years ago. You feel connected to the artists,” Jacobs said. 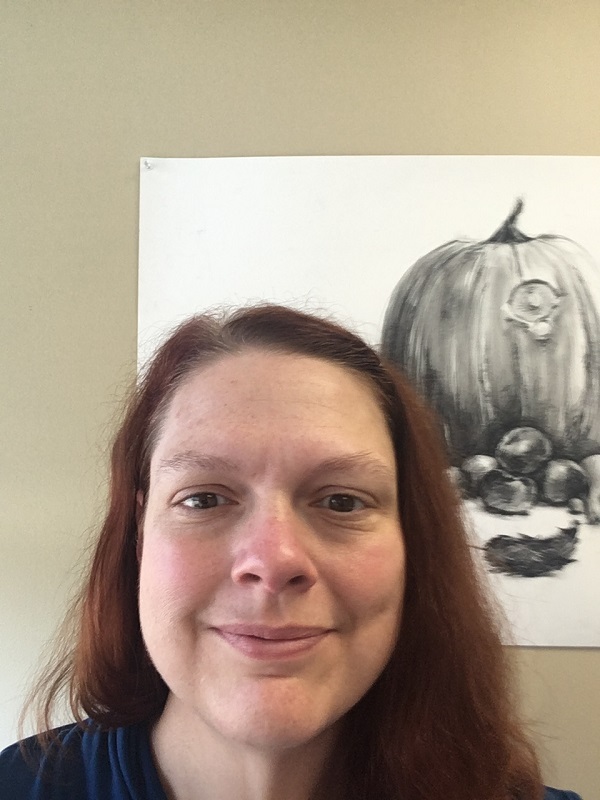 Jacobs typically teaches four courses in art appreciation each semester, including a teleconferenced course offered on the Loudon, Fentress, Morgan, Campbell, Cumberland and Scott county campuses. In her photography course, students learn to shoot black-and-white photos with a completely manual single-lens reflex camera, develop the film in a darkroom and make prints. “It’s a perfect blend of art and science,” she said. Several of her former students have gone on to launch their own businesses in wedding and portrait photography or shooting catalogue photography, she said. She’s now experimenting with solargrams, in which a small camera is hung outdoors from months to a year and documents the landscape and the arc of the sun. Jacobs, a Knoxville resident, received a Bachelor’s of Fine Arts degree from Austin Peay University in 1995 and a Master’s of Fine Arts from University of Tennessee in 2002. While in graduate school, she taught introductory courses in film and video and a photography course. She was a Roane State adjunct professor for four years. Jacobs is both documentarian and fine artist. For her master’s degree thesis, she made a black-and-white art​ film titled “The Sower” about her father and “how he sees the world” as a farmer in the rural South. She’s a member of the board of directors of the nonprofit A1labarts organization for artists in Knoxville. Jacobs also and will have a solo exhibition starting Nov. 2 of her photography at the Center for Creative Minds in Knoxville. In the past, she’s taken students on visits to European capitals ranging from Paris to Brussels to Rome to view some of the great artworks throughout history.